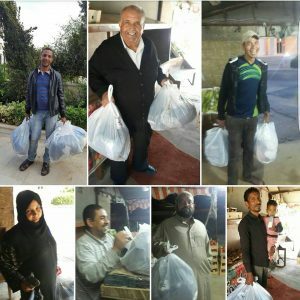 Helping Hands Jo is the idea of two young and energetic people, who decided to take an action first hand to help people in need in our community, and therefore they founded this non-profit organization here in Amman, Jordan. “Long before Helping Hands was founded, we would roam around the streets of Amman each time we had something to give to the less fortunate. We had come to find it was such a pleasure helping people“, Noor explained. 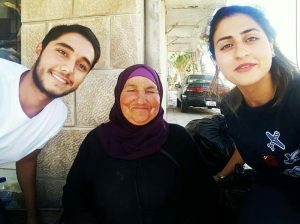 I have the great chance of knowing Noor, one of the founders of Helping Hands Jo! She is a wonderful lady overflowing with positive energy. The whole idea came up when she and her classmate Omar had graduated from university and were still unemployed. Noor’s job teaching preschoolers has also inspired her in a way, as she mentions “Seeing kids that live on the streets and struggle to find something to eat daily does upset me“. As many of you might have experienced having kids changes so much in someone’s life. I’ve always felt with the less fortunate, and always tried to help in some way or another. However since I’ve become a mother I became so sensitive to the needs of young children, and their unfortunate parents, who I’m sure try so hard to provide for their families but can’t do much. I think of mothers who can’t keep their children warm at cold nights and my heart breaks. That’s why I found that Helping Hands Jo is such an uplifting initiative!! 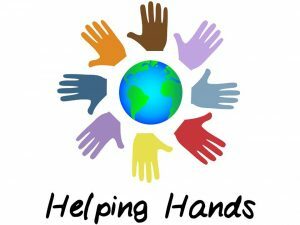 To all of you who would like to help, Helping Hands Jo collect unwanted clothes, toys, books or anything people do not need and separate them into smaller bags and hand them out to needy people on the streets. They also collect plastic bottle caps and donate them to organizations that help manufacture wheelchairs for disabled people. Helping Hands Jo welcome volunteers anytime! Click here to watch them in action helping people! You can call them anytime and they will happily pick up your donations.